Who is a real Shia Muslim? Is it just someone who believes in a set of beliefs and rituals? 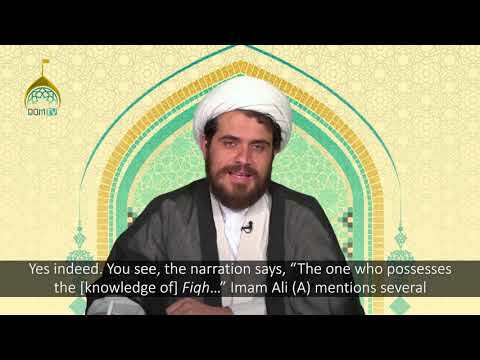 Let\'s find out the viewpoint of the infallible Imams of Ahl al-Bayt (A). 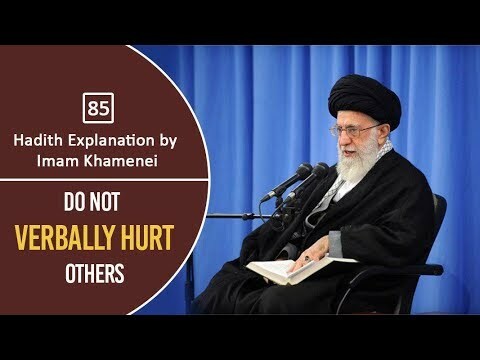 Hadith Explanation by Imam Khamenei | Do Not Verbally Hurt Others Ayatollah Khamenei explains a hadith where believers are advised by Imam Sadiq (A) to control their tongue. Hurting those who approach you with affection and love is not the practice of Prophet, Imams, and Awliya of Allah. Animated cartoon movies for kids with a moral lesson for them. This video has been put together regarding the documentary that was broad casted on channel 4 on Monday the 14th of July 2008 at 8pm. The documentary failed to meet its purpose of presenting actual information. This 10 minute documentary is documenting on the Channel 4 documentary. The Quran by highlighting only some of the major accusations and misrepresentations made during the documentary. It gave a total misrepresentation of the Shia faith. 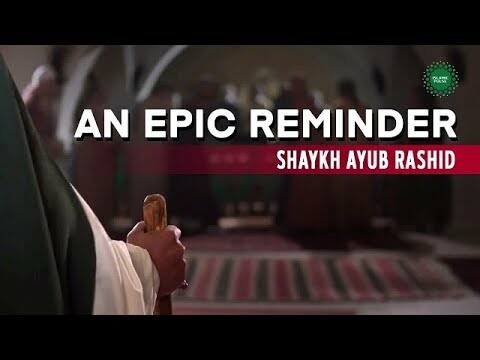 The documentary gave the impression that Shias do not pray directly to Allah swt and take the Imams alehysalam as their lords. They did not ask one Shia scholar to give examples of where the concept of intercession is supported in the Quran instead they had a Sunni professor say that it was incorrect. Some comments were not only not true but completely inaccurate and seriously allegations were made. Zakir Naik and Peace TV condemned on Indian News TV Channel - Urdu. Zakir Naik is a complete deviant. Israr Ahmad should be banned to deliver lectures and spreading false beliefs in the name of Islam. Just to be clear, according to both mainstream Shia and Sunni belief system, Prophets, Imams and Awlia are used only as intercession to pray to Allah. No one but ONLY Allah is to be worshipped. Al ‘Askarī Mosque or the ‘Askariyya Mosque/Shrine (Arabic: مرقد الامامين علي الهادي والحسن العسكري‎ Marqad al-Imāmayn ‘Alī l-Hādī wa l-Ħassan al-‘Askarī) is a Shī‘ah Muslim holy site located in the Iraqi city of Sāmarrā 125 km (78 mi) from Baghdad. It is one of the most important Shī‘ah mosques in the world, built in 944. Its dome was destroyed in a bombing by terrorists in February 2006 and its two remaining minarets were destroyed in another bombing in June 2007, causing widespread anger amongst Muslims. The remaining clock tower was also destroyed in July 2007. The remains of the 10th and 11th Shī‘ah Imāms, ‘Alī al-Hādī ("an-Naqī") and his son Hasan al-‘Askarī, known as: al-‘Askariyyain ("the two ‘Askarīs"), rest at the shrine. Also buried within the Mosque are: Hakimah Khātūn, sister of ‘Alī al-Hādī; and Narjis Khātūn, the mother of Muħammad al-Mahdī. Adjacent to this shrine is another mosque, built over the location where the Twelfth or "Hidden" Imām, Muħammad al-Mahdī first entered the Minor Occultation. The ‘Askariyya Shrine is also known as the "Tomb or Mausoleum of the Two Imāms", "the Tomb of Imāms ‘Alī al-Hādī and Hasan al-‘Askarī" and "al-Hadhratu l-‘Askariyya". CLAIMS OF SECTARIAN VIOLENCE ARE ABSURD AS THE TWO MAJOR SECTS OF ISLAM, SHIA & SUNNI HAVE RESPECTED EACH OTHERS HOLY FIGURES FOR A LONG TIME. THESE SORTS OF INCIDENCES STARTED AFTER FOREIGN TROOPS ILLEGALY OCCUPIES IRAQ IN 2002 UNDER THE PRETEXT OF HAVING THE WEAPONS OF MASS DESTRUCTION AND THEN LATER THE CRUEL DICTATOR SADDAM. OCCUPYING TROOPS ARE STILL IN IRAQ CAUSING THE DISTRESS AND FEAR AMONG THE GENERAL PUBLIC. 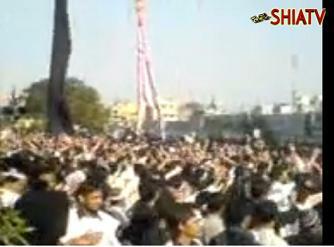 NOW SHIAS AND SUNNIS ARE UNITING TO EXPELL THE INVADERS FROM THEIR HOMELAND. We are pleased to announce that the Quran and Etrat Internet University is now enrolling students for the Fall 2009 Semester. The university has just turned into six years of its activity and is proud to start its sixth year enrollment in the Holy Month of Ramadhan. Documentary of Dastan e Jannat ul Baqi. Jannatul Baqi is the place of graves of 4 Holy Imams. 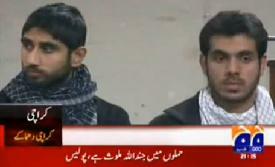 Sons of Prophet Muhammad (s) and sons of Imam Ali (a.s). The true guides for human kind sent by Allah. Imam Hasan (a.s). Imam Zainul Abideen (a.s). Imam Muhammad Baqir (a.s), Imam Jaffar Sadiq (a.s). Special News Analysis on the 31st Anniversary of Imam Khumayni(A)'s return to Iran and the start of the Ten (10) Days of Dawn. Split into two parts due to YouTube limitations. Recorded on February 01, 2010 at 1832GMT. Part 1 of 2. Shia history is that when we get attacked by Terrorists, with every drop of an innocent blood, we become more fearless and stronger. Down with all the terrorists, down with their supporters and financer Zionists. DEATH TO ZIONISTS - the enemies of Humanity. We Shias have historically been "the worst victims of terrorism". We never and will never give up defending the dignity of Islam and Shias. We were and are peaceful people. BUT we never tolerated injustice in the past and will never tolerate it in future. We are just paying the cost of being a Shia of Imam Ali (a.s). Every single Shia is ready to sacrifice his/her life and achieve the level of Shahadat, just the way all of our Imams did. 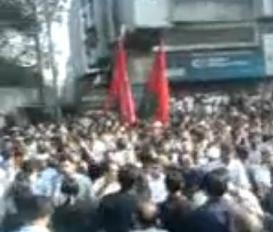 LABBAYK YA HUSSAIN. LABBAYK YA HUSSAIN. LABBAYK YA HUSSAIN. Our lives be sacrificed for you and your grandsons, especially the Imam of our time, Imam Al-Mahdi (a.s). May Allah hasten his reappearance.